Artificial landscape grass provides a natural, ‘just-mown’, all-green looking surface for lawns and patios. Artificial landscape grass is porous, ensuring that lawns look perfectly manicured any time of the year. It also requires very little maintenance, so there is no need to water, weed, or mow. Those who own pets and find that their animals are ruining their natural lawns often find that artificial grass is the perfect solution. Artificial lawns are pet-friendly and can ensure an odour-free environment. fully penetrate and settle into the structure of the turf. on your usage and should be carried out using a stiff brush. pile is maintained vertically – this can be achieved by brushing against the pile direction to avoid pile flattening. application of granular sodium chloride. are removed or in the case of moss swept out of the turf structure. 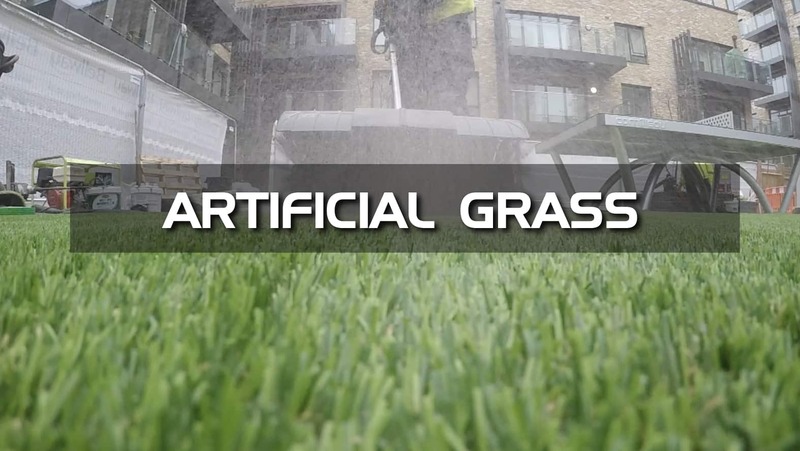 A: No, fibres in the artificial grass are tufted into a very strong backing cloth and have a geotextile membrane which helps to prevent roots from growing up through the grass. Weeds may occasionally appear on the surface as a result of windblown seeds. Small numbers of weeds can be removed by hand without damaging the surface. If the weeds are removed by hand, it is important to ensure that the full root of the weed is extracted, not broken off.